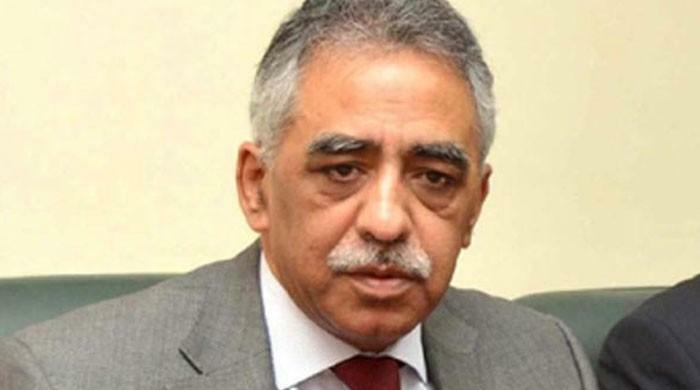 KARACHI: Sindh Governor Muhammad Zubair on Thursday congratulated Hamdard Laboratories (Waqf) Chairperson Sadia Rashid and Managing Director and Chief Executive Officer Usama Qureshi on rebranding their company and introducing a new logo on the occasion of the Hakim Mohammed Said Awards held on Wednesday (yesterday), a press release said. He said that the execution of Hakim Mohammed Said Awards would promote the sense of nationalism as Hakim was a great patriot, philanthropist, physician and a politician. Hakim Said had established an industrial unit of Greek medicines and products in Karachi, which not only gave employment opportunities to the people but also provided them with social welfare facilities, the governor added. Emphasizing on the need of an addition of businessman category in Hakim Mohammed Said Awards, he had said that business community promotes trade and industry in the country and hence deserve a token of appreciation on rendering great services to the nation. The governor also commended the award given to Aitezaz Hasan Bangash who rendered his life to save his friends during an attack on a school in Hangu in 2014. Earlier, Sadia Rashid while addressing the awards ceremony, had said that the reason this Award ceremony was named the Hakim Mohammed Said Awards was because Hakim Said was brought up to believe in serving humanity and it was a part of his faith. Usama Qureshi said that this rebranding initiative would not only strengthen our traditional power, values, and credibility in the world but also reflect our resolve to embark into the future with newfound enthusiasm. ‘We salute and pay tribute to our national heroes for their exceptional dedication, and delivering hope as an inspiration to millions and they are the true patriots as their love and devotion for Pakistan is an inspiration for all of all of us”, Mr Qureshi concluded. Hakim Mohammed Said Awards were awarded to Prof Dr Attaur Rehman, Ruth Lewis, Anwar Maqsood, Dr Abdul Bari Khan, Aiatezaz Hasan Shaheed, Amjad Islam Amjad, Dr Adeebul Hasan Rizvi, cricketer Sarfaraz Ahmed, Bushra Rehman and Masood Ahmed Barakati. Sindh governor and Sadia Rashid handed over the awards to the recipients.